Earlier this month, eYeka announced the launch of PULSE, a fun, text-based online tool that lets consumers suggest new marketing or product ideas to brands in no more than 140 characters. It is a perfect complement to current contests, allowing a wider range of people to express their creative thoughts, allowing marketers to connect with nearly 240,000 consumers from 154 countries. 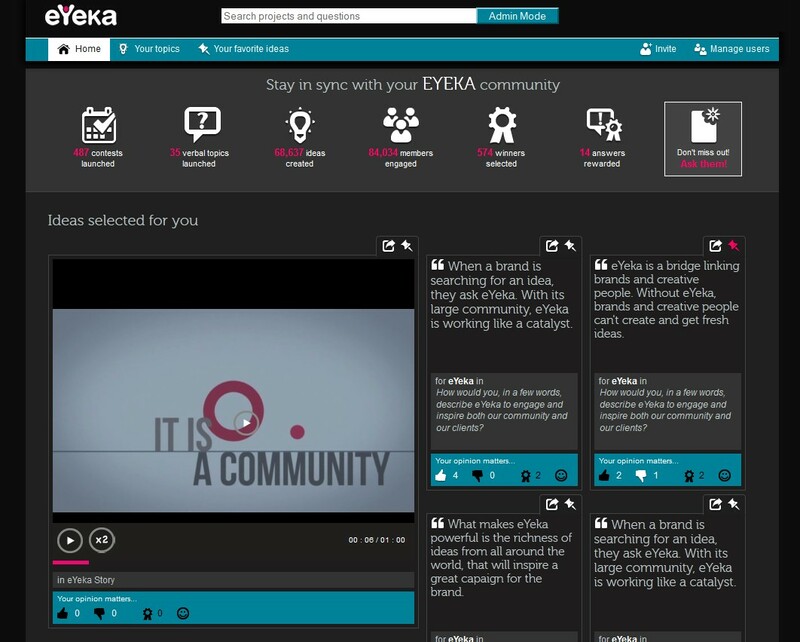 eYeka PULSE comes with an online dashboard where marketers can have an overview of consumer-generated ideas and creations. We believe it will change the way marketers can access creative ideas. 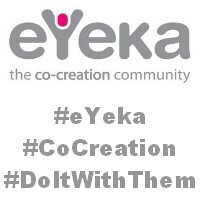 Would you like to see how eYeka Pulse can make marketers more creative? We will present eYeka PULSE in action during a free webinar on Thursday February 28th at 10:00 AM Central European Time (CET). This webinar will present you PULSE, show how quick questions can help your brand and guide you through the online dashboard. PS: We may add additional webinar sessions to fit different timezones pending interest. So don’t hesitate to send us your questions and comments! This entry was posted in Events, Products & Services and tagged co-creation, webinar. Bookmark the permalink.